Quarterly releases provide new product features and updates to customers with increased frequency. New releases and product capabilities being rolled out to customers up to nine months earlier than before, getting the value of these features into the hands of users sooner. Historically, IDBS products were released annually. This approach made it slow to regularly incorporate new features into an existing product and, as a result, some features would sit approved and ‘ready to go’ for many months before actually being released. 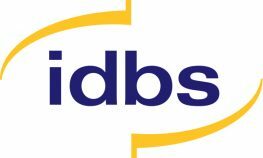 Following the appointment of a new software engineering leadership team, Jonathan White (IDBS’s newly appointed CTO) identified the need for a new way of working to ensure new product features could be released to market quickly and effectively, without compromising the quality of our work. To ensure our work’s integrity, it was essential that any new approach could meet a number of compliance standards, including ISO9001 and TickITplus. The approach also had to pass the standards set by a number of external customer auditors as well as the existing IDBS Quality Management System (QMS). After the completion of a number of successful pilot projects over a two-year period, we decided to adopt a software development approach called ‘Agile’ – a method that anticipates the need for flexibility and pragmatism as part of the development process. The aim of Agile is simple: to deliver new products and features to market as soon as they are ready. For our development team, this required significant operational and cultural changes to implement. With the help of experts Allan Kelly and Software Strategy, a series of training workshops were held to introduce the wider development team to the Agile process. Small product teams, with direct accountability for the design, build, testing and support of the software, were also created. These new teams began working in two-weekly ‘sprints’ – with the aim of demonstrating new functionality at the end of each period. At the end of each quarter, these developments would be released to customers. Over a nine-month transitionary period, Allan Kelly regularly visited the IDBS offices to provide coaching, consulting and feedback to ensure the process was as seamless as possible. The move to Agile has completely transformed the IDBS software development approach. We have successfully launched every quarterly product release on time, to market. A focus on two-weekly sprints has allowed us to pilot new features with customers, before rolling them into the core product. With the launch of our first SaaS product, E-WorkBook Connect, we are now able to release new features to the cloud every two weeks. This means our customers are able to enjoy access to updated features and functionality as soon as they are ready, speeding up their processes. Internally, the regular two-week work cycles have increased the focus of small teams and improved the working relationships within, and between, teams as roles are more defined and product teams take ownership of their role within the cycle. Ultimately, this has seen our small agile teams take full ownership of their products. Product managers are also working more closely with development teams, ensuring customer feedback is incorporated to the correct standard and that new product developments are on track.